Memory is never an inaugural act. Its existence depends always on a prior event. But what if a completely new fact, which never occurred before is brought into existence by the memory one has of it? Anamnesis is "bringing back to memory". a procedure introduced in Medicine by Hypocrate, in which facts reported by the patient provide elements for the diagnosis. 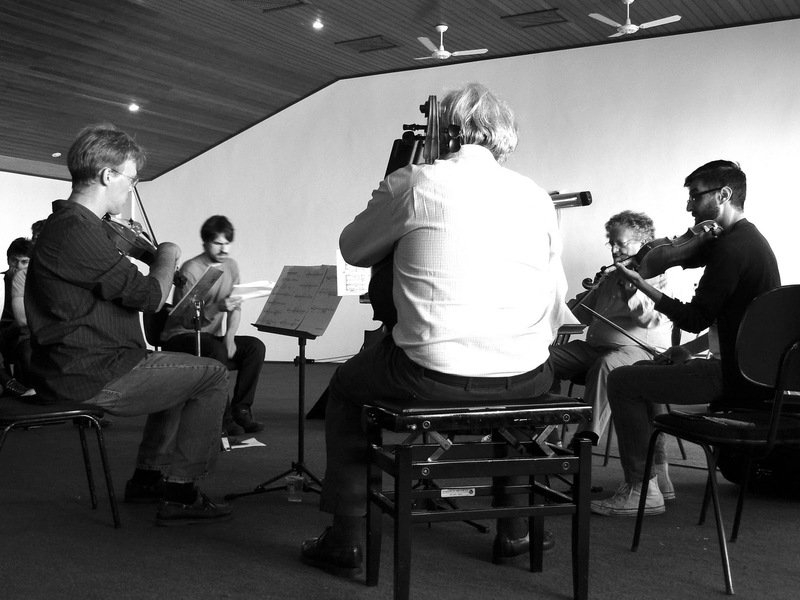 sketches for anamnese II was written for a workshop with the Arditti String Quartet, which happend during the 42º Festival Internacional de Inverno de Campos do Jordão. This recording wa made July 13th 2011, in the Cláudio Santoro Auditorium, as a closure of the workshop. With Irvine Arditti, Ashot Sarkissjan (violins), Ralf Ehlers (viola) and Lucas Fels (cello).